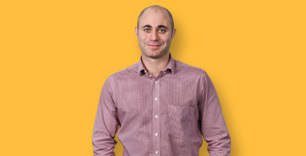 Sean works closely with business leaders to help them on their journey of assessing ERP solutions within the MYOB platform. My role within Kilimanjaro, in addition to being a member of the management team, is to work closely with business leaders and help them on their journey of assessing ERP Solutions within the MYOB platform, with the ultimate goal to improve efficiency in their organisations. By utilising my experience with ERP products, Kilimanjaro’s methodologies and industry knowledge, I am able to help minimise risk for potential clients throughout their journey “one step at a time”. I have had a long association (over 17 years) with ERP solutions. First implementing end end-to-end business solutions across a wide range of industries and then focusing on business process improvement in businesses through better utilisation of their ERP and incorporating “best of breed” connected services. I bring not only a deep technical product knowledge but experience in analysing business needs and helping potential clients with their decisions to move onto the MYOB platform and letting Kilimanjaro Consulting guide them on this journey.